"The Universe is an infinite sphere whose center is everywhere and whose circumference is nowhere. 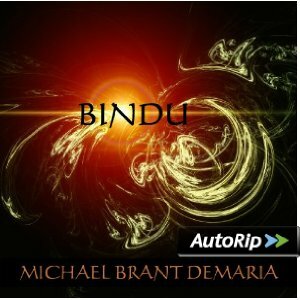 Bindu has been my attempt to explore our deepest inner nature. In deep states of meditation one can glimpse the truth expressed above. Said another way, that which is most deeply personal is most universal. In many ways the best way to help take care of the world is by quieting our minds and opening our hearts to the miracle of this moment, this life and each other. That is what bindu is about for me." (which is the root word for Bindi - the ornamental red dot worn by many in India). In yogic philosophy Bindu refers to the moment of creation - in both a universal and deeply personal sense. Bindu reminds us of the miracle of this moment - the miracle of life, the miracle of each breath - and the miracle of how each of us lie at the very center of creation - and are truly a doorway to awakening. In this way, we see unity in diversity, the one in the many, with a deep compassionate awareness and wisdom.